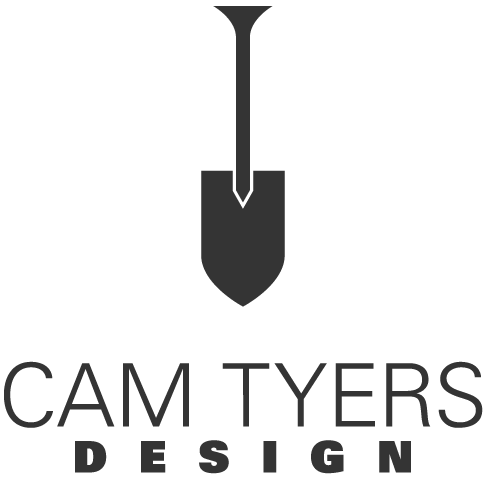 It is without hesitation that I recommend Cam Tyers as a golf course or landscape architect for your business. As the Golf Course Superintendent at Thornhill CC from 1992 to 2006, I had the opportunity to develop and implement a golf course improvement plan with Cam Tyers while he was employed with Carrick Design Inc. During this process, I found Cam to be willing to listen to his clients while not compromising the integrity of a Stanley Thompson golf course or golf course design principles. He showed great loyalty and dedication to our club and it is much of the reason for the success of the many projects that were completed during my tenure at Thornhill CC. His knowledge of the game and particularly Thompson’s work ensured that the look of the golf course was led back towards the original design that had been compromised by other golf course architects that were employed by the club previous to Carrick Design Inc. being retained in 1992. The quality of work and presentation skills by Cam Tyers assisted in creating member support for the changes and consistency of the work developed confidence by the members that the work would be properly completed. His pride in his work is evident when you discuss his projects and this matched the same enthusiasm of the staff at Thornhill CC. Thornhill Golf & Country Club, Keith Bartlett, MS, Golf Course Superintendent, St. George’sGolf and Country Club, Host of the 2010 RBC Canadian Open. I marvel at Cam’s ability to see things that aren’t evident to the rest of us. For me, as I’ve gotten older, the golf matters less and the architecture matters more. Funny how that happens, and when I get a chance to actually listen to an architect, it’s quite interesting. I wish Cam well with his new venture. I’m confident that with his skill, reputation and demeanor, success is right around the corner! Thornhill Golf and Country Club hired Carrick Design in 1995 to produce a long range plan for the Club. As a representative of Carrick Design, Cam Tyers was the key architect putting together the plan. Over the past 13 years Cam has been the person overseeing the design and implementation of the plan. He also recently completed a new course long range plan and had been working with me on the administration of a major pond project the Club was undertaking. Over the period that I have worked with Cam, I have been impressed with his ability to see how best to improve the course. He is also a good listener and will use advice from the Superintendent when making decisions, especially when it comes to the daily maintenance of the course. Cam is also a good communicator. He has had to address my green’s committee many times to explain the long range plan, listen to their thoughts and give feedback. I have no hesitation in recommending Cam to be your future golf architect. He will provide the direction and leadership for your Club’s future planning. Sunningdale Golf and Country Club was founded in 1934 by Colonel J. Gordon Thompson. Stanley Thompson designed the first course which opened in 1934. A third nine was added in 1962 under the direction of Clinton “Robbie” Robinson, an avid student of Stanley Thompson. The final nine holes were opened for play in 1971. In 1999, Carrick Design carried on the Stanley Thompson legacy while overseeing a complete refurbishment of the entire 36 holes. Cam Tyers managed the project from start to finish on a day-to-day basis and enjoyed a close working relationship with Sunningdale during this time. We found Cam to be an extremely capable person, paying attention to detail, sensitive to costs and ever mindful of our expectations. His time here was a most positive experience for us all and the end result has left Sunningdale once again with two fantastic championship level courses that serve our members and guests very well. We have no hesitation in recommending Cam to anyone looking for a dedicated and hard working person. We wish Cam all the best in his new endeavour and hope to have the pleasure of working with him again in the near future. Cam Tyers has worked with the Burlington Golf and Country Club on its Stanley Thompson golf design and long range planning for many years. He was instrumental with consultation and project management while working with our committees and management team. Our design and planning process involved an overview of course layout, costing, contracts, current course conditions, rounds played, new turf management techniques and member preferences. This was well blended with our Stanley Thompson theme. Cam handled all aspects of these issues in a professional manner along with his calm and positive demeanour. A number of challenges were always on the list from our committees; however Cam addressed each issue in full detail to the satisfaction of the Club. Cost estimates, volumes and materials were always precise and allowed contractors to present accurate pricing for each job. Project management was maintained during all phases of construction and Cam took great pride in his work. He was available for additional meetings, site visits and phone calls whenever necessary. I would not hesitate to recommend Cam Tyers for his services as a golf course architect to any potential client. As the golf course superintendent at Niakwa Country Club, I have had the opportunity to work with Cam Tyers for the last 5 years, as we undertook course changes at our Club. During our time together, Cam has exhibited professionalism and candor while designing and supervising visually stunning features. Cam’s quiet, yet thoughtful demeanour gained the praises of not only myself, but the Board of Directors and membership at large. I have thoroughly enjoyed our relationship and on behalf of our Club, want to thank Cam for his great work at Niakwa Country Club and wish him all the best in his future endeavours. Cam was a pleasure to work with and has a great eye for detail. His professional demeanor and positive attitude helped our projects run smoothly and efficiently. His passion for the history of the game makes him an especially strong candidate for restoration work.